Some foods need to be made in batches. Waffles and pancakes fall into this category. And this goes double (or quadruple) when mini waffles are concerned. 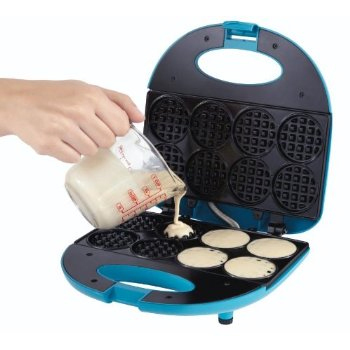 The Sunbeam CKSBWFMW3 Mini Waffle Maker is a specialty appliance that produces eight mini waffles per batch. 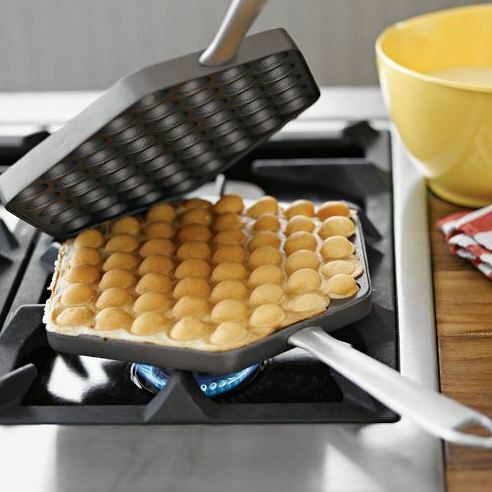 While specialty appliances tend to take up more room than they are worth, waffle makers are worth a look, considering that waffles aren’t exactly easy to make in the oven. 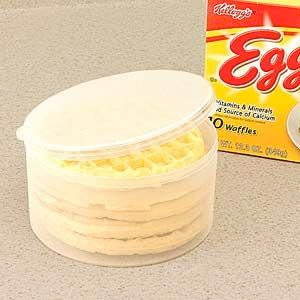 (And no, Eggo’s don’t count.) The mini waffle maker, not surprisingly, has a mini price to match–and you don’t even have to buy a whole batch to get the deal. Kids running around like monkeys in the morning? 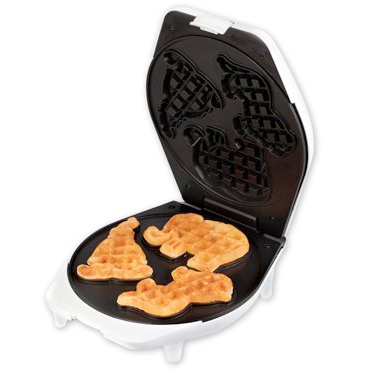 Tame them with the Nonstick Circus Waffle Maker by Smart Planet. 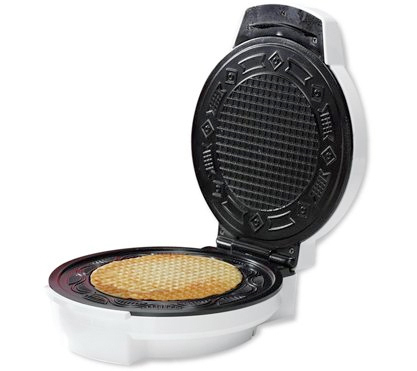 Measuring 9.25-inches by 9.75-inches, the Original Circus Waffler makes three circus-themed Belgian-style waffles in less than four minutes. 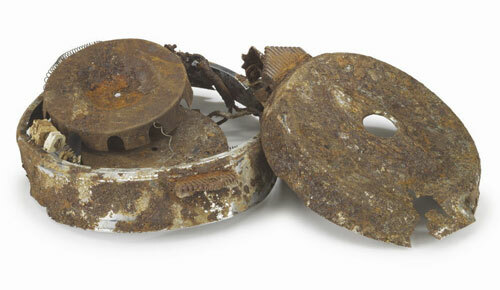 Just like mornings can be on the blurry side (not too much for the kids, hopefully), so too can be this waffler. I see an elephant for sure, and I’m guessing the other two are a lion and a clown. But hey, the kids won’t care how abstract the waffles look when you cover them with butter and syrup. Add some whipped cream to top them off, and your calm little angels will be monkeys again in no time.